Tesla Motors plans to produce 500,000 vehicles a year by 2020, and at the beating heart of that lofty goal is Tesla’s new Gigafactory. 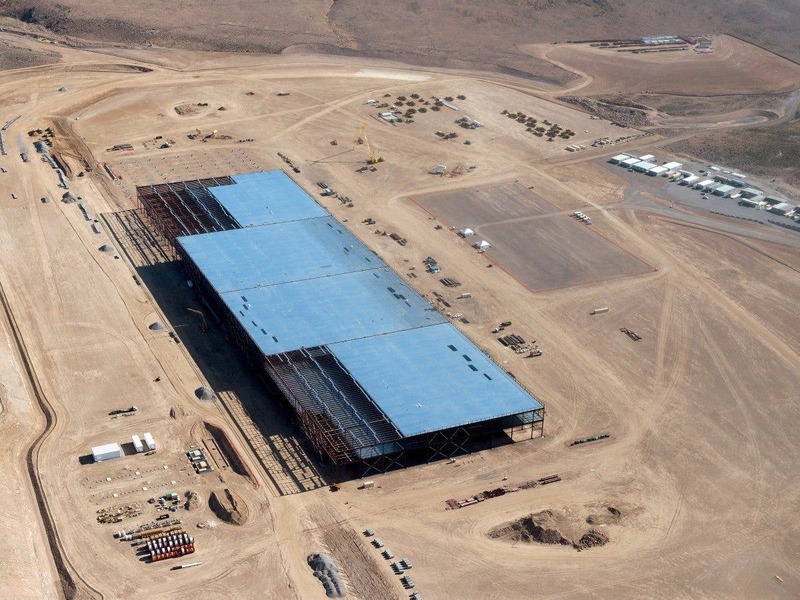 The Gigafactory is a giant, cutting-edge battery production plant that is scheduled to be finished by 2017. 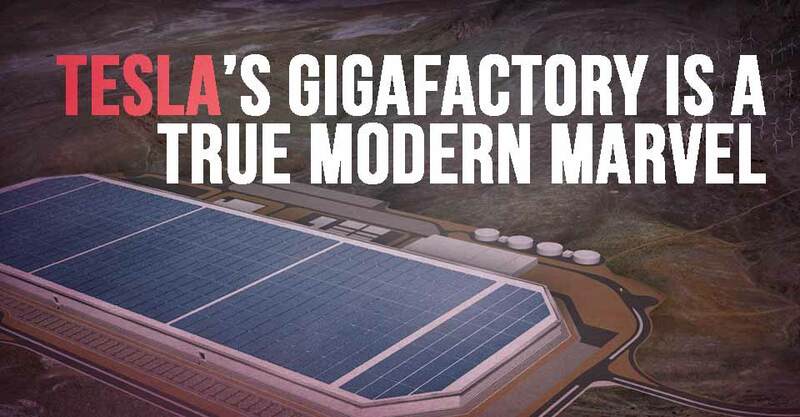 The facility in Storey County, Nevada is already one of the most incredible factories ever built, because Tony Stark-like Tesla frontman, Elon Musk, wouldn’t have it any other way. The factory sits on a 3,000-acre plot of land, outside of Reno, Nevada. As huge as the factory is now, the amount of land will give Tesla the ability to expand the facility 50 to 100 times in size. Right now, the factory is approximately 5.5 million square feet. That is 126 acres. Even Musk says, “It will blow your mind. You see it in person and then realize, F—, this is big.” The total space planned to be built will be 13.6 million square feet by the end of 2020. That will make it the second largest building by volume in the world. The factory will be powered completely by renewable energy. The roof will be lined with solar panels, as well as the surrounding hill tops. The factory will be completely self-sufficient for power. With a total estimated price tag of $5 billion dollars to be split between project partners Tesla Motors, Panasonic, and Toyota. $2 Billion of which comes straight from Tesla Motors. The end result will be a factory that uses revolutionary techniques to revolutionize the world of lithium ion batteries, which will change many industries in the process.